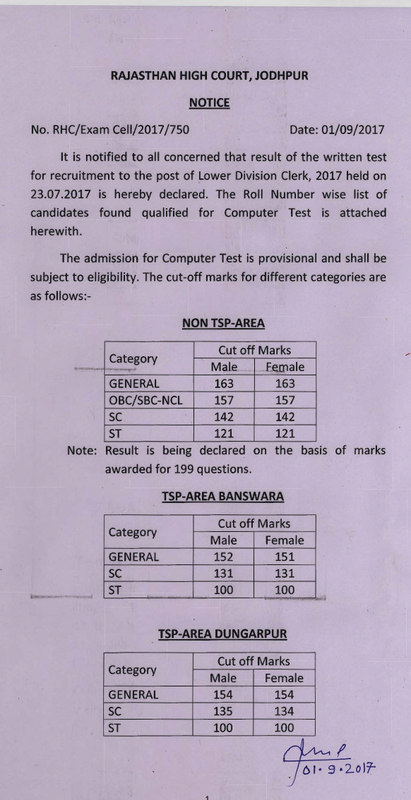 Rajasthan high court Result ,Cut Off Marks / Merit List Declared on Official website of Rajasthan high court HCRaj.nic.in. Rajasthan high court has declared Written Result for the Post of Lower Division Clerk (Clerk (LDC) 2017 Written Examination held on 23-07-2017 . 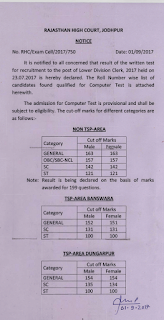 View Result and Cut off Marks:- Click here to View Rajasthan High Court LDC Exam.